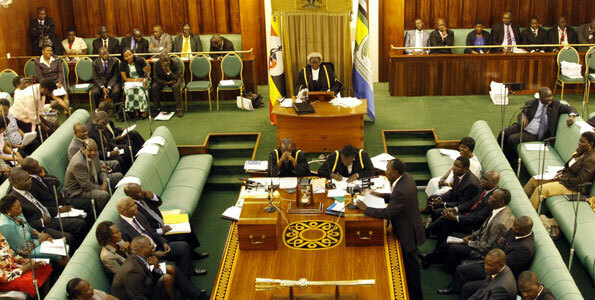 PARLIAMENT– Legislators have lashed out at Ministry of Education and Health officials for the continued discrimination of schools in marginalised communities, at expense of their own schools. Following a matter raised by Hillary Lokwang, Ik County MP in Kaboong district who noted that his constituency is in dire need of social services like schools and hospitals. Lokwang added that although the district has Kaboong hospital, it has no electricity, water but matters are worsened with the negligence among health workers that had turned the hospital into a death trap. In his response, John Muyingo, State Minister for Higher Education told Parliament that the issue of marginalised communities is in the plans of the Ministry and these will be further discussed in the Committee of Higher Opportunities of Parliament soon. However, his explanation was rejected by Joseph Ssewungu, Kalungu West MP saying he has fought the ministry several times to consider rural schools but the ministry only keeps funding urban developed schools. Ssewungu also informed Parliament that the Education Committee had ordered the Ministry to recommit the money earmarked for established schools to marginalised communities. Although, Speaker Rebecca Kadaga asked Ssewungu to allow the Committee report formally about its resolution to Parliament, instead of him sneaking in such information. Sarah Opend, State Minister for Health (General Duties) acknowledged that the maternity ward in Kaboong hospital is in dilapidated state, but said the money for its renovation wasn’t provided for in 2018/2019 budget and the district will have to wait until the next financial year. “It is true reports of sinking maternity ward at Kaboong hospital and we are trying to find funds in the next budget,” Opened said.